CSS Providers focuses on tailoring specific services that matches business needs. As a regional service provider, we excel in state-of-the-art web technologies and provide cost effective IT solutions for government, organizations and other industries in different fields by enhancing their existing applications, expand homegrown solutions, or perform system integration of diverse and legacy software to improve communication and collaboration, utilize resources, increase productivity and reduce overall cost. To use state-of-the-art web technologies such as JAVA, IBATIS, SPRING, STRUTS . . . . The benefit of a customized software is providing features that off-the-shelf software doesn't. Designing an application with your organization's needs in consideration implies an increased level of productivity. If you have a software application designed to increase productivity or address an internal need, the cost of it is offset by the promise of increased efficiency. If your organization has a need unique enough to warrant for custom software, then customizing a solution rather than settling for an off-the-shelf application becomes a smart course of action. CSS Providers' product development service offers its clients the benefit of an 'on-demand' technical expertise to help them build products they can market and distribute themselves. How many of your business decisions hinge on technical decisions? Our mission is to deliver absolute results. By offering technical consultancy services, our team assists you in making decisions based on informed, well-focused technical analysis. Do you want to break into a new market, or improve your profitability by installing new information systems? You may already have taken outside advice, but we can assess the technical feasibility of your plans and provide an extra, independent analysis of the associated business risks. How many of your business problems are considered to be technical? 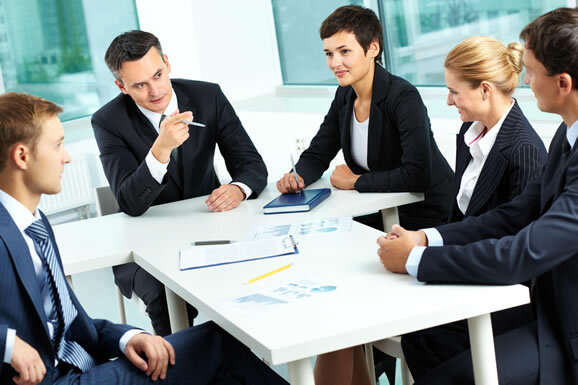 The IT consultants team enjoys a wide range of expertise and experience. If you have a problem with your existing information systems, we'll help you solve it. If you have a software project that's progressing too slowly, our consultants will analyze it impartially and help you get it back on track. CSS PROVIDERS' IT consultants dedicates their efforts and time so that they understand not only the technical issues, but also their business context. Their advice is detailed and precise, but always made clear. Fuzion platform is a web based architecture built on the top of the Java language adapting the latest technologies. From a simple idea or concept, to the decision-making process, Fuzion offers rigid, secure and scalable applications for all your needs ensuring valuable Business Intelligence Systems. Our Enterprise Resource Planning (ERP) software is a proven, trusted foundation - built to guide the world's largest organizations as well as small to mid-sized companies in any industry.